Nilimaye mission began early 2014 with the motto that every kid who is naturally deprived of the very basic privileges of life deserves at least the bare minimum support from the people who are blessed with the bounties in daily life. 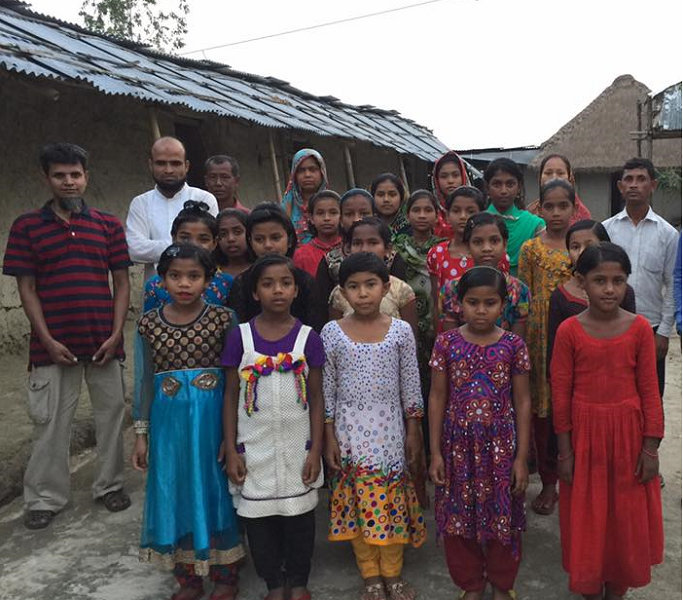 Nilimaye (নীলিমায়), located in a very rural setup in the village of Haranandapur, Chirir Bandar, Dinajpur, Bangladesh, is now a home for twenty one orphan and the neediest female kids mostly under the age of 10. Here we provide basic full care of the kids: housing, food, clothing, medical, in-house tutoring, and institutional education for their goodly upbringing. We very humbly appeal that please give us a hand to support this noble mission where we are putting humble and sincere efforts to help steer very underprivileged lives that they may grow as contributing and good members of the society. Would you please contribute? You can send email to following addresses to learn more.